Then it was back to port S6 to take the boat up the river and walk around Khao San Road. We did some shopping - I bought three shirts, one of which was the typical "Same same but different" shirts that are sold in Thailand. 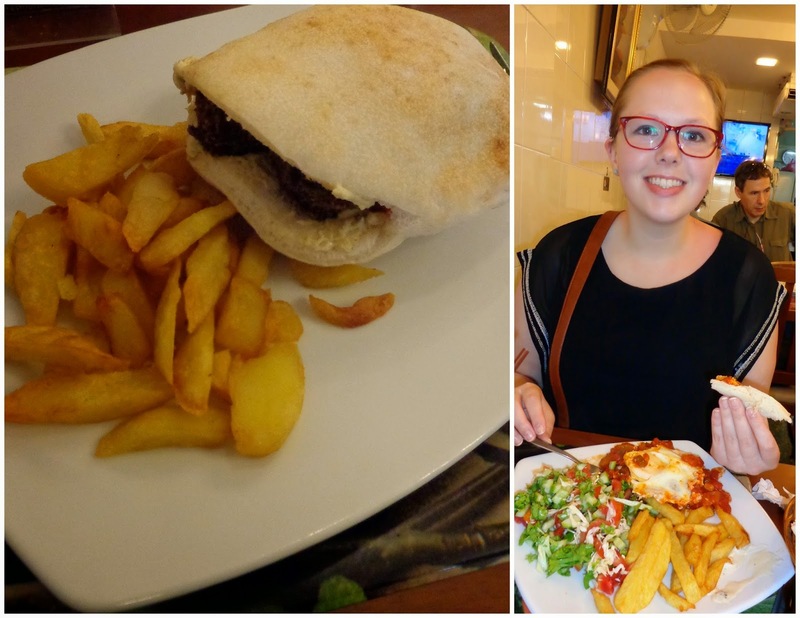 We took a break from Thai food and had lunch in an Israeli restaurant recommended in Anne's guidebook. I had falafel pita. And then we did something that brought about fifteen minutes of laughter and shrills: we let small fish nibble on the dead skin from our feet! Oh. My. Goodness. You guys, the feeling was so strange! Unlike anything I'd ever felt before! My heart was beating fast and my pits were sweating as I resisted every urge to shake the little guys off my feet. 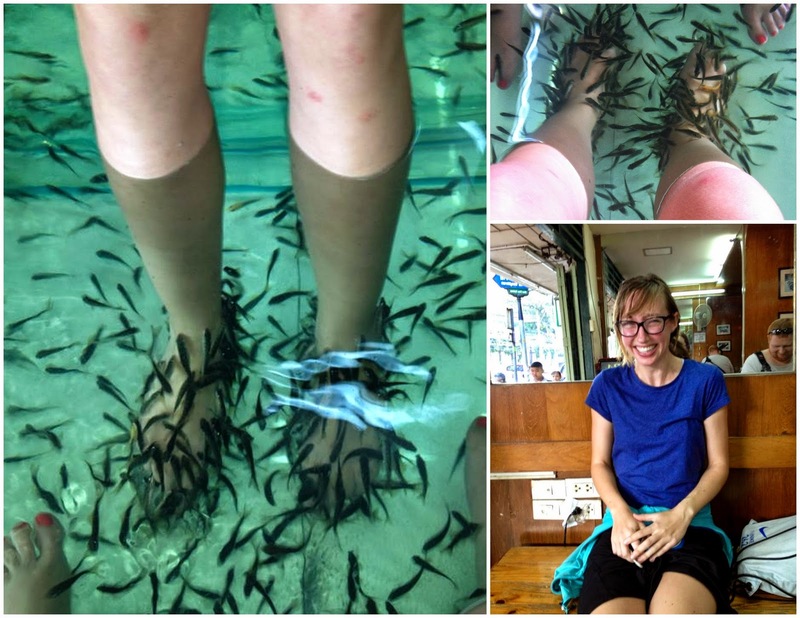 I don't do anything special to my feet and I've never had a pedicure, so the fish swarmed me - they loved my tasty feet! 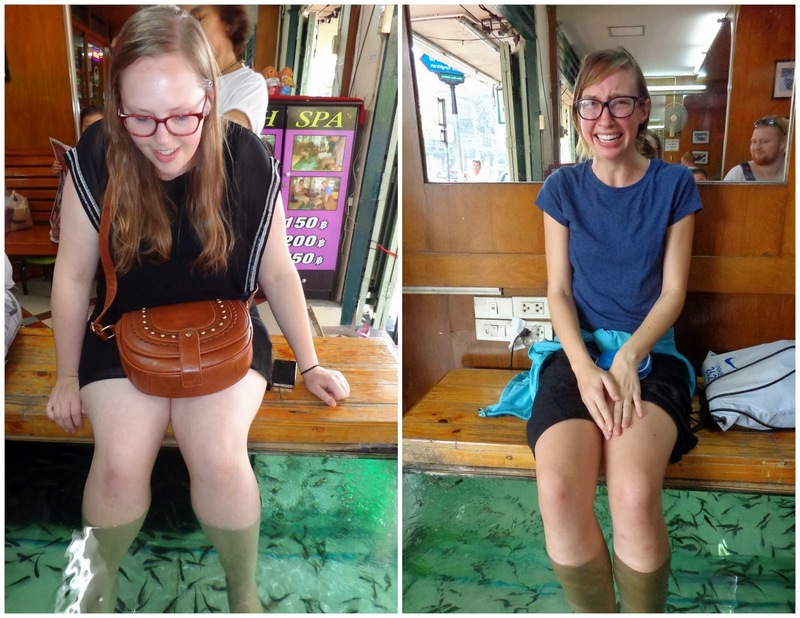 We paid 100 baht ($3 USD) for 15 minutes with the fish. After about seven minutes my face started to feel fuzzy because I was screaming/laughing/being terrified for so long continuously. Those were some 15 minutes, let me tell you. If you ever want to slow down time, just let some fish eat at the dead skin on your feet! While sitting there getting nibbled on, Anne and I decided it would be a great business to start. You just need a tank and some of those fish to start up, and then you make money just by having people sit there for short periods of time. No more supplies costs! Nice, eh? 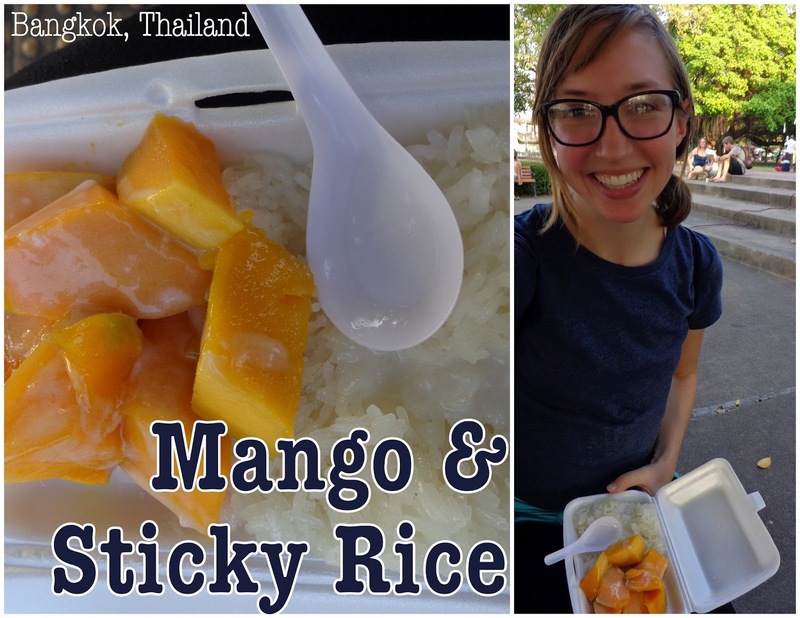 Afterwards I got some melon and sticky rice, a delicious Thai dessert, and ate it in the nearby park where I'd gone the first week. 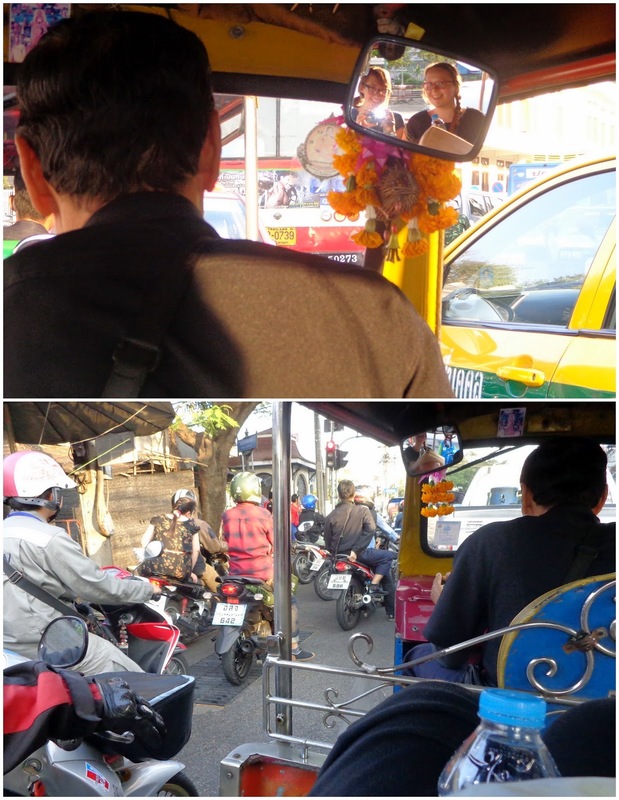 Anne and I decided to take a tuk tuk back to our hostel, just to try it once. We probably way overpaid, but whatever. During the first five minutes, we were stopped for a long time at an intersection. But so was everyone else - traffic had stopped for some reason. We found out why a few minutes later when we saw the King being driven down the street surrounded by security cars and guards. 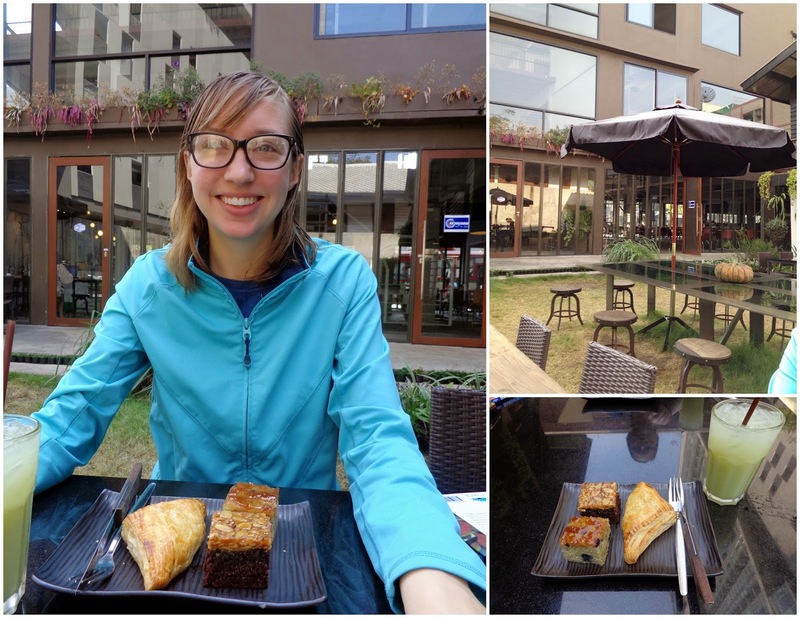 We got dinner on the food street near our hostel, and then slept our final night in Bangkok. Anne was ready to go back to Korea the next day, but I wrote in my journal that "I could stay here for years, I don't want to go back to the cold and darkness".